"As a direct result of participating in the portfolio review, I have since had my first solo show in Atlanta! I was also able to make professional connections with galleries and other artists that continue to open doors for my work." "I sold six prints at the ACP Portfolio Walk...and became a better presenter of my work"
"I was in the ACP Portfolio Review and thanks to that I am now in a 'Landscape' group exhibition in Inner Mongolia, China." "The portfolio event is a really great resource! I am going to be part of Fraction magazine's December edition because of my meeting with David. I also met with the Blue Sky folks and they seemed very interested in my work." "As a very direct result of the 2008 portfolio review, I have a portfolio published in the current issue of Lenswork Extended...thanks so much to ACP's Portfolio Review!!" We'll update this page and send out notice to our email list (subscribe below!) when there's information about the ACP 2019 Photographers' Conference. Thanks for looking! 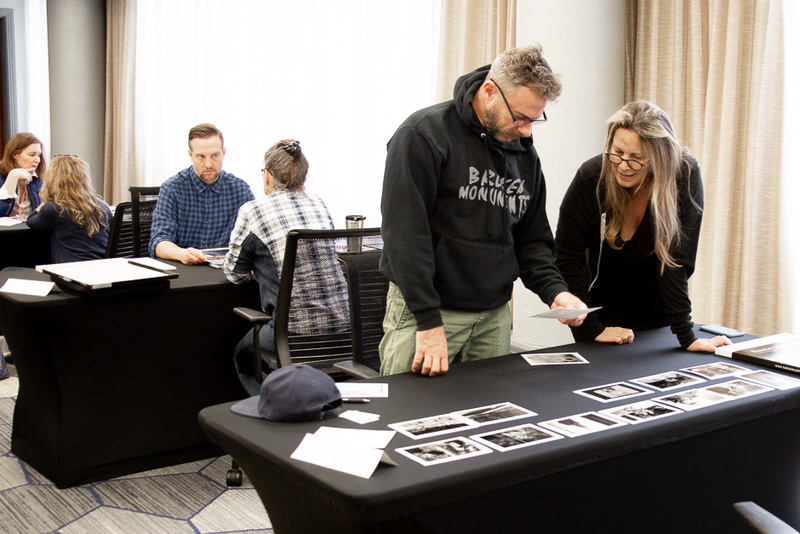 The ACP Portfolio Review and Walk offers artists the opportunity to meet with highly respected curators, dealers, editors, and agency representatives from across the US and beyond. The Portfolio Walk gives participating photographers the opportunity to present their work to the general public at an evening reception, open to all. This video of the 2014 Portfolio Walk was filmed in collaboration with AtlantaPlanit. Matthew Rond - Photo Editor, Image, Turner Broadcasting System, Inc. This video of the 2011 Portfolio Review was filmed at the Portfolio Walk in collaboration with artrelish.